QRP and QMs are Changing with the Times. Are You? 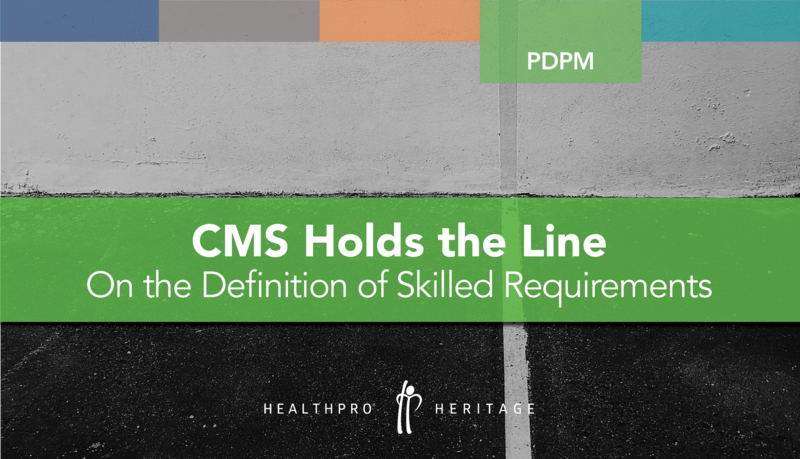 As of April, CMS has implemented important modifications for the Quality Reporting Program (QRP) and Quality Measures (QMs) that may have significant fiscal, clinical, and compliance implications as well. Not only will these changes enable CMS to better monitor SNF outcomes, the modifications raise the bar on performance measures and will challenge SNFs to drive care differently. What should SNFs know? 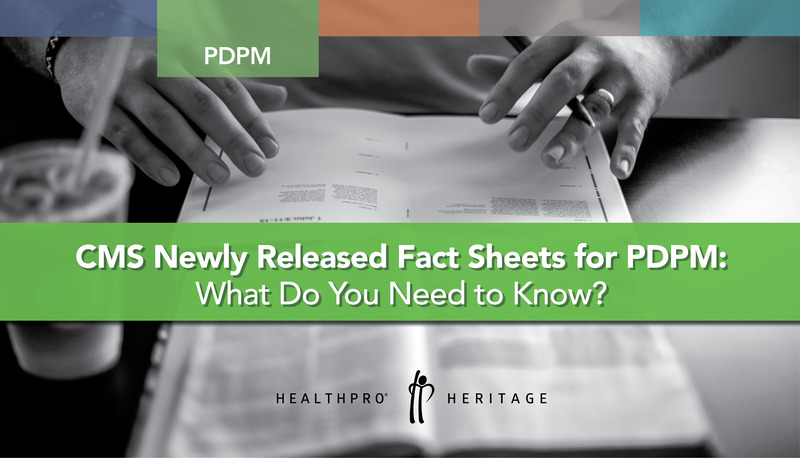 HealthPRO® Heritage offers guidance. Think about a task you routinely complete: yardwork, cooking a meal, or a project at work. Now imagine asking a friend or co-worker to pick up a rake or join you in the kitchen. Your results: being able to complete the same tasks with improved efficiency and even better outcomes. Apply this thought-process to providing world-class rehab services for the patients in your care. Research supports: There’s strength in numbers! The post-acute world is looking forward to new rules. 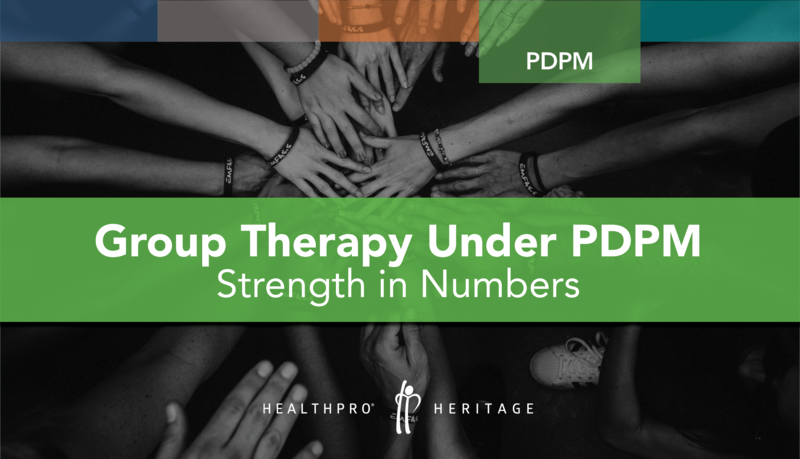 Learn more about best practices and potential pitfalls RE: Group Therapy Under PDPM. Continue to drive quality measures, star ratings, survey results, satisfaction scores, etc. Adopt very different documentation practices. All of these requisites are vitally important to your facility’s success under PDPM. But perhaps the most challenging change for Nursing teams (who really just want to be patient caretakers, right?) will be #3 on this list. 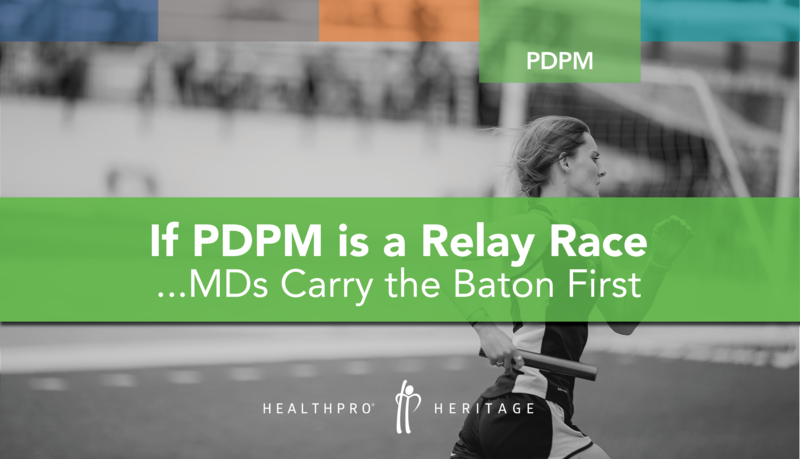 It seems everyone’s roles are changing with the onset of PDPM. 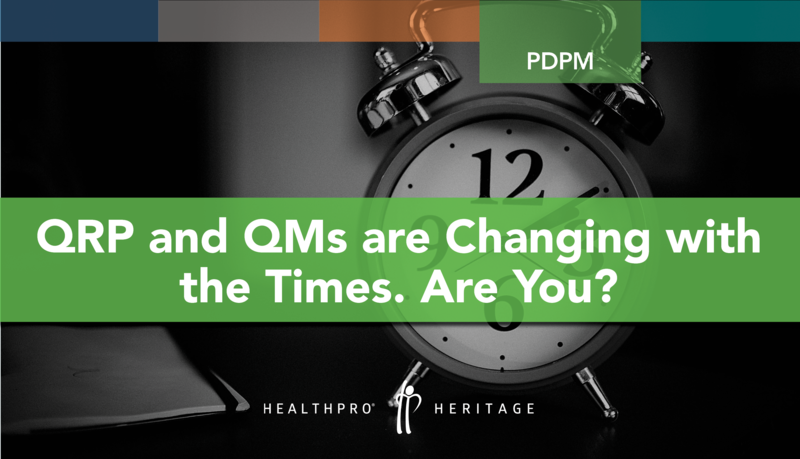 Even referring clinicians (MDs, NPs and PAs) who send their patients to a skilled nursing facility will need to commit to a new more comprehensive, faster-paced process. The more things change the more things stay the same. The tide is turning! Imagine a world where revenue is not based on managing therapy treatment minutes, but will be aligned to care delivery. PDPM will set reimbursement based on patients’ clinical profiles, as captured within various coding and assessment scoring factors from the interdisciplinary team (IDT). 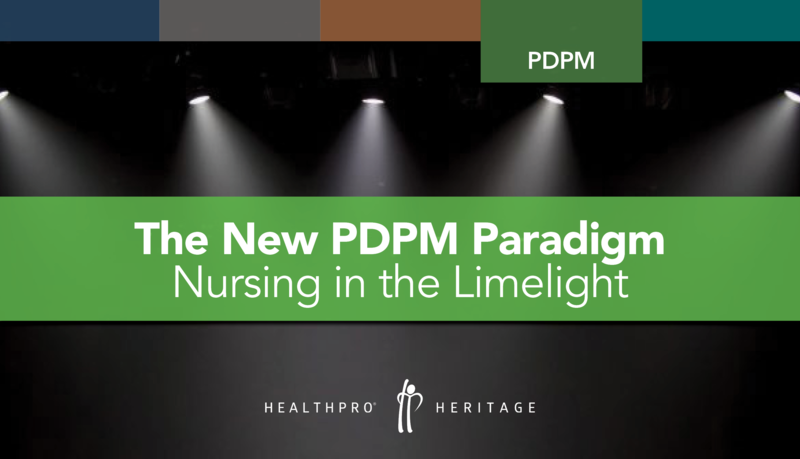 This fundamental change will rely on input from all clinical team members, however, nursing and MDS will be under exponential pressure to understand the nuances of PDPM, document and code accurately, and communicate effectively. 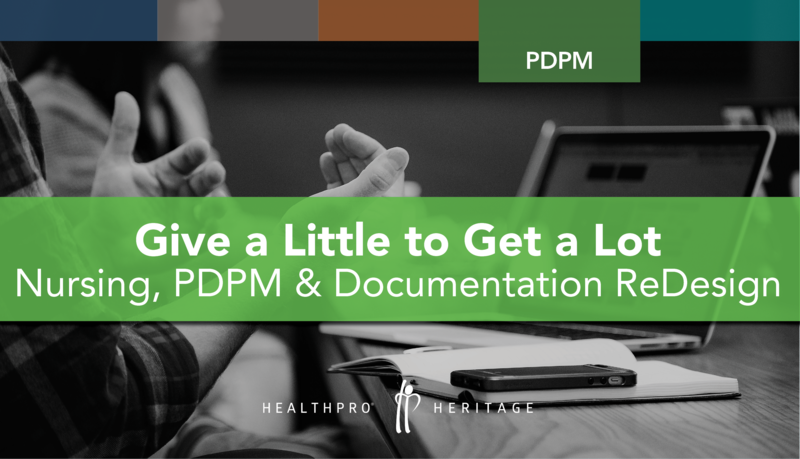 In the “Brave New World of PDPM”, there are huge financial implications for anything less than thorough and flawless documentation and coding. Imagine a world where reimbursement isn’t based on managing treatment minutes. Instead, therapists are empowered with the freedom to care for residents and drive outcomes based exclusively on clinical need. Let’s face it: Therapy services and reimbursement under PPS has not always served our industry well. 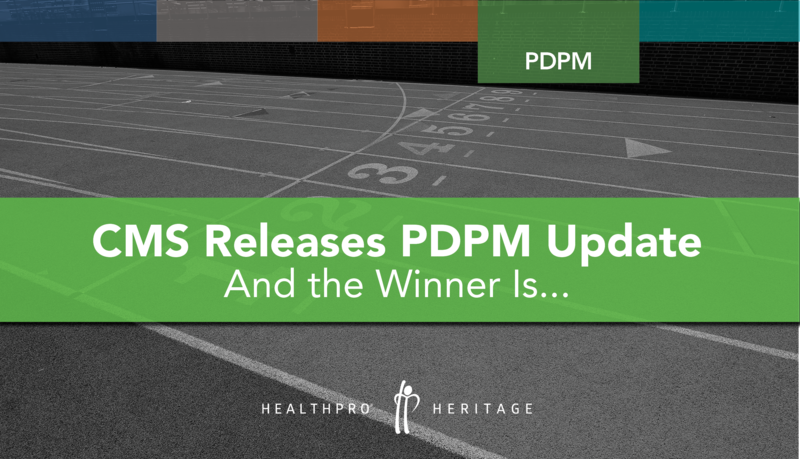 HealthPRO® Heritage experts agree: CMS’ PDPM system will breathe new life into how, when, and why therapists deliver care. We are, in fact, excited for a new world where our success will be measured by the evidence-based therapy we provide and the outcomes we achieve on behalf of our clients and patients. 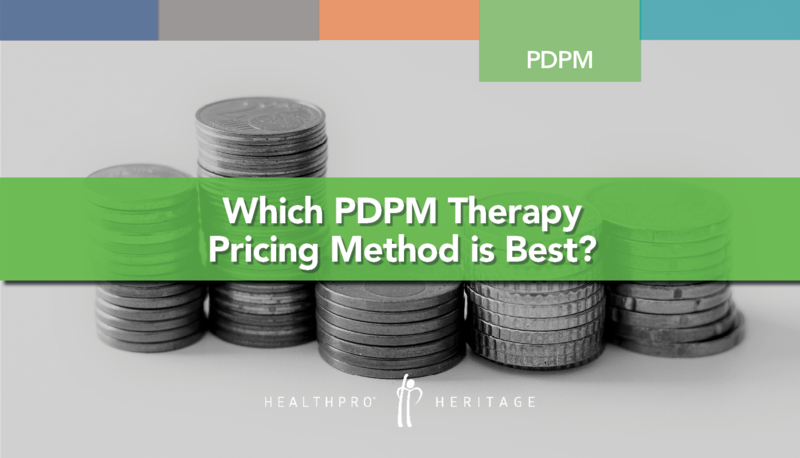 Which PDPM Therapy Pricing Method is Best? Since the RCS-1 Proposed Rule was released in Spring 2017, through the PDPM Final Rule and up to today, we’ve spent hundreds of hours thinking and pressure testing different ideas. 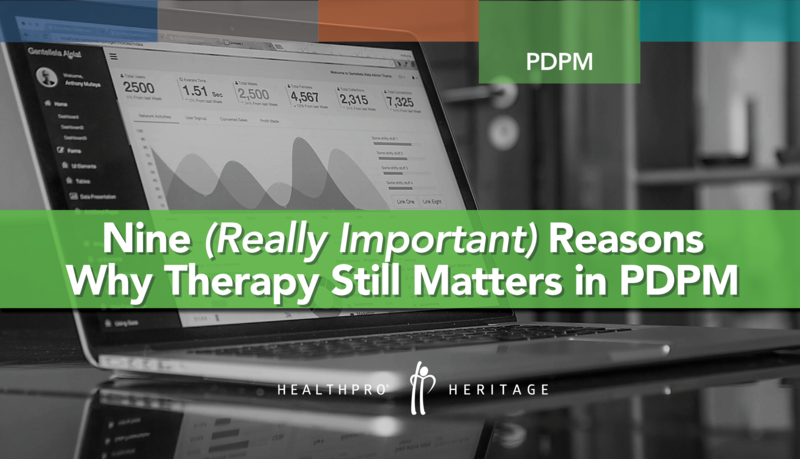 We’ve had ongoing conversations with customers, colleagues, and consultants about PDPM therapy pricing. 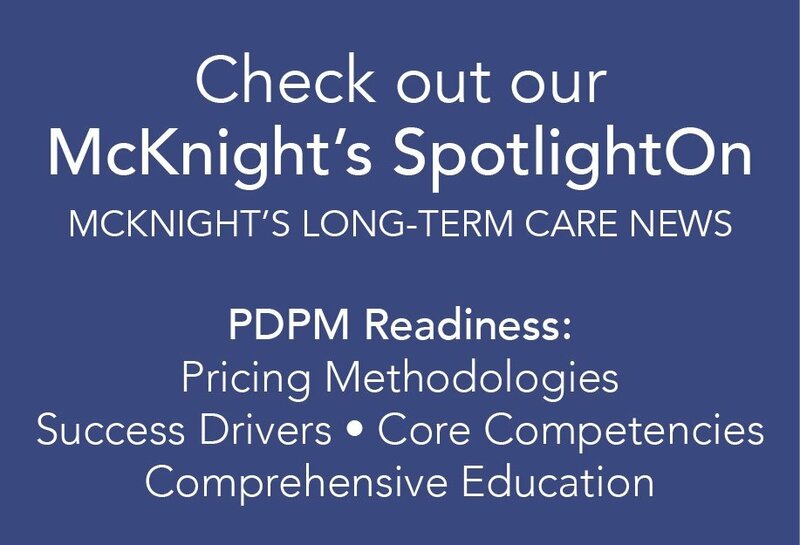 Our goal was simple: Develop a pricing approach which equally addresses and ensures the success of our patients, customers, and employees under PDPM.